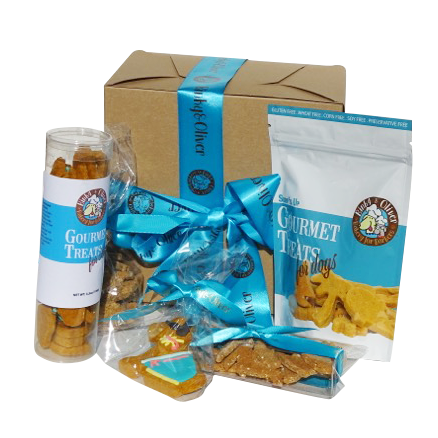 Our Barkers Bakery Box is the ultimate indulgence for pampered pooches! Your Barkers Bakery Box arrives brimming with natural, yummy gourmet dog treats that are made with simple, healthy and organic ingredients. Our treats are carefully selected and Binky approved. Guaranteed to keep your best friend begging for more! Each month you’ll receive a new assortment of 5 different gourmet treats. Each box features a fun theme with cute shaped treats and one decorated iced treat, as all good dogs deserve a treat!